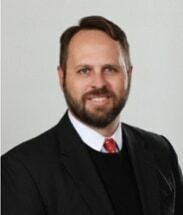 Mr. Watts is a member of the firms' Administrative, Land Use and Environmental Law Department. His practice is focused on representing landowners and developers in securing entitlements and regulatory approvals for the development of their land. In addition, Mr. Watts is experienced in structuring infrastructure financing through the use of special assessment districts, community development districts, tax increment financing and other creative financing strategies. Mr. Watts graduated from Florida State University in 1995 with a degree in International Affairs. He received a Juris Doctor from Stetson University College of Law in 1998. Prior to joining the firm, Mr. Watts served as an Assistant County Attorney in Pinellas County. He is a member of the Florida Bar and the United States District Court for the Middle District of Florida. Mr. Watts is a native of Volusia County and is actively involved in the community. In addition to his local volunteer work with non-profit organizations, Mr. Watts and his wife, Natasha, are actively involved with local youth sports, musical programs and scouting on behalf of their three children.